Growing your own transplants from seeds indoors can give you a head start on the growing season. Seeds remain dormant or inactive until conditions are right for germination. All seeds need water, oxygen and proper temperature in order to germinate. Light can also be a factor, some seeds germinate better in full light while others require darkness. In addition to the above factors, proper selection of growing media is also an important factor in germinating seeds. Germination media for herbaceous bedding plants must retain moisture, supply nutrients, permit gas exchange, and provide support for the seedling. Small seeds should have a finer and more compact media than what is used for larger seeds. There are different techniques for actually sowing seed. Seeds may be broadcast over the surface of flats or planted in rows. Advantages of row planting are reduced damping-off, better aeration, easier transplanting, and less drying out. Suggested rates are 1,000 to 1,200 seeds per 1020 flat for small seeded species (e.g. petunia) and 750 to 1,000 for larger seeds. Small seeds are dusted on the surface: medium seeds are covered lightly to about the diameter of the seed. Larger seeds may be planted at a depth of two to three times their diameter. While hand seeding into flats is a common practice, larger operations usually opt for using seeders. For efficiency, commercial growers usually require the use of a mechanical seeder for plug production. The objective of plug production is to get a usable seedling in each cell. The choice of seeder depends on several factors including cost, seeding speed, number of flats to be seeded, and the need for flexibility to sow a variety of seed shapes and sizes. Popular production seeders available include the Berry Seeder Precision Seeder and Berry Value-Line Production Seeder. Popular hand seeders include the Wand Seeder, Dial Seed Sower, Seed Master II and Mini Seeder. When evaluating a seeder, growers must consider the machine’s ability to deliver seeds at the desired speed without skipping cells due to poor seed pickup or delivery, sowing multiple seeds per cell, and sowing seeds without the seeds bouncing, can reduce the precise location of the seed in each plug cell. Once seeded the moisture content of the growing medium can be critical to germination success. Species like coleus, begonia, and alyssum require a saturated medium; impatiens, petunia, and pansy require a wet but not saturated medium; while asters, verbena, and zinnia prefer a medium watered only prior to sowing for good germination. Flats are irrigated prior to moving to a germination chamber and the high humidity keeps the substrate moisture optimal for germination. Germination chambers are fully enclosed units that can hold up to 48 flats at one time, depending on what size you want. Flats then remain in the germination chamber until radical emergence and are then moved to the greenhouse. The principal objective of seedling production is to develop healthy, stocky, vigorous plants capable of further transplanting with little check in growth. The usual procedure in production is to move the flats to lower temperatures, 50° F or less, compared to germination temperatures, and exposes them to full sunlight. High temperatures and low light tend to produce spindly, elongated plants that will not survive transplanting. There will be two waves of germination. Remove trays from the chamber as soon as the radical emerges from the first wave. The second wave has already germinated, but has not emerged. The second wave will emerge a few days later. Waiting until the second wave has emerged will result in the first wave becoming spindly. Lights inside the chamber will not prevent spindly plants, only removing the trays from the heat. Non-optimal temperatures can lead to erratic or poor germination and emergence. In many cases, bottom heat is used to warm the germination medium to the appropriate temperature. This is done by using heat mats. Heat mats are designed to be used on greenhouse benches or any flat surface and come in several lengths and widths. Like germination chambers, once the radical emerges, remove the flats from the heat to prevent spindly plants. Once root systems grow into the medium, it is important keep the medium somewhat dry on the surface but moist underneath. Such irrigation helps prevent disease and produces sturdy seedlings. White wanting to keep it moist, it is also important to not overwater as well. Overwatering can cause the plant to not have enough oxygen, leading to eventual loss of the plant. While there may seem to be a lot involved in starting plants from seeds, it is a fairly easy and economical way to grow. You will have a much wider range of possibilities if you start your own plants from seeds. Not only is it much cheaper, but you can buy seeds for many more varieties than you will find for sale as plugs or plants. That will allow you to experiment with different varieties and allow you to harvest/sell your favorite crops over a longer period by planting varieties that mature at different times. 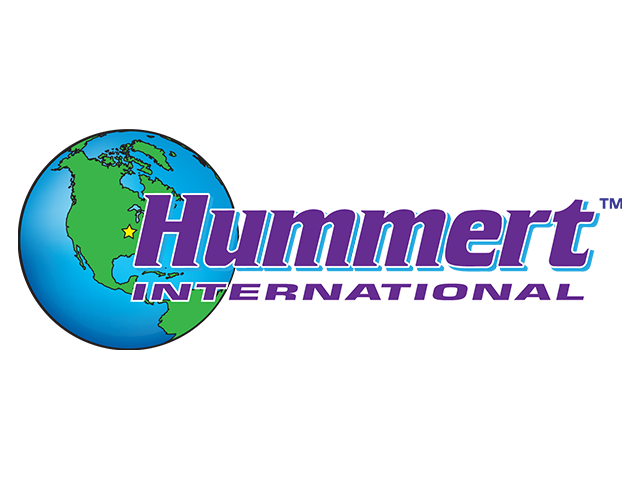 Request your Hummert Seed Catalog today and come spring, you will have the satisfaction of growing your own plants from seed.